The 4iiii PRECISION Power Meter for Shimano XTR M9000 is the lightest, most affordable direct force power meter available. The added weight of the 4iiii PRECISION is only 9 grams and it is accurate to within +/- 1.0%. The 4iiii PRECISION is a left-only crank arm-based power meter and replaces your current left side crank arm. The 4iiii takes the power that is generated by your left leg and doubles it in order to determine your total power output. In addition to being affordable, lightweight and highly accurate, the 4iiii PRECISION measures precise cadence data, has 3D power meter technology capable of measuring tri-axial strain and is compatible with both ANT+ and Bluetooth SMART devices. • Easy Installation: Quick and easy to install. Just swap our your left crank arm and you’re done! 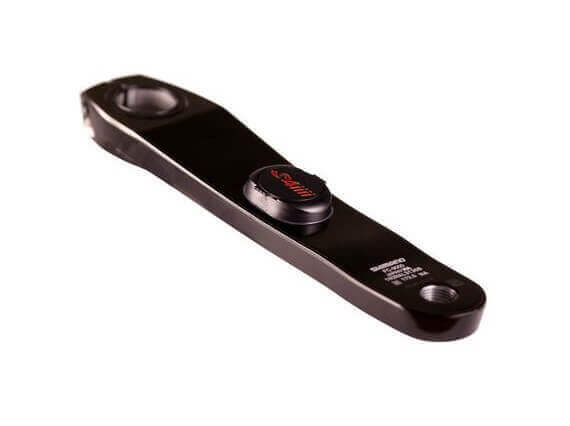 The 4iiii PRECISION MTB Power Meter is compatible with all Shimano Hollowtech II MTB cranks.